Shauna is a dynamic and seasoned financial executive with strong operational skills who is dedicated to identifying the optimum solutions and improvements for the overall organization. She is a change agent with over 25 years of experience in financial reporting, analysis, forecasting, budgeting, cash management, team development, and controls for multi-site organizations in various industries such as wholesale, retail, services, and hospitality. As a high energy problem-solver, she has a proven track record creating and documenting standard processes, developing teams, implementing systems, and internal controls. 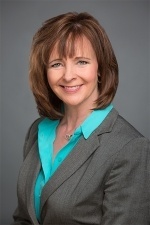 Prior to joining CFO Selections, Shauna was the Vice President and Corporate Controller at The Stoller Group, overseeing the accounting department for multiple organizations including recruiting, staffing, payroll, HR, and benefits. Over the years, she has found her niche in identifying opportunities for process improvement and building highly capable teams. Shauna knows first-hand that organizational change doesn’t come easy. She uses her timely, straight forward, and consistent style to spearhead transformation and get teams engaged. She is a hands-on leader, capable of managing all levels of accounting, finance, and operations. Shauna attended Oregon State University where she studied Business. 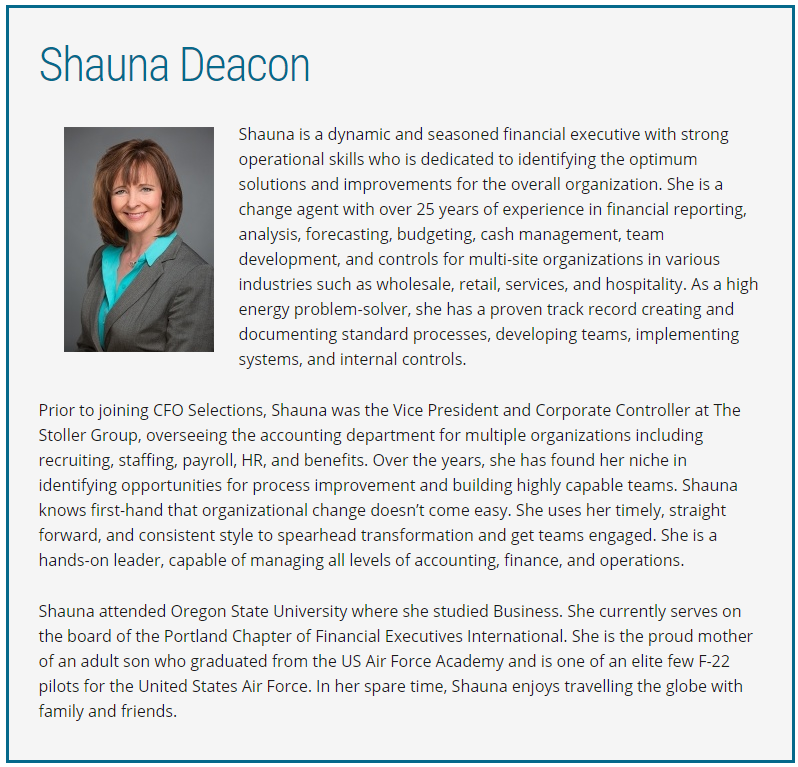 She currently serves on the board of the Portland Chapter of Financial Executives International. She is the proud mother of an adult son who graduated from the US Air Force Academy and is one of an elite few F-22 pilots for the United States Air Force. In her spare time, Shauna enjoys travelling the globe with family and friends.